Intercom is a messaging app which lets businesses interact with their customers in order to learn from them. The way that most businesses communicate with their clients often misses the mark: it can seem stilted, or come too late in the game to make a difference. With Intercom, your business will never again miss an opportunity to have a mutually beneficial dialog with a client. Intercom’s unified user interface emulates the messaging apps on which we all rely daily. It’s intuitive, consistent, and easy to use. Customers can stay in touch with your business through your app or website, over live chat, email, and more. This way, customer complaints and queries won’t slip through the cracks. Your team will have an easier time covering all its bases. What can Intercom do for your business? Intercom’s features have three main objectives: customer acquisition, customer success, and customer support. 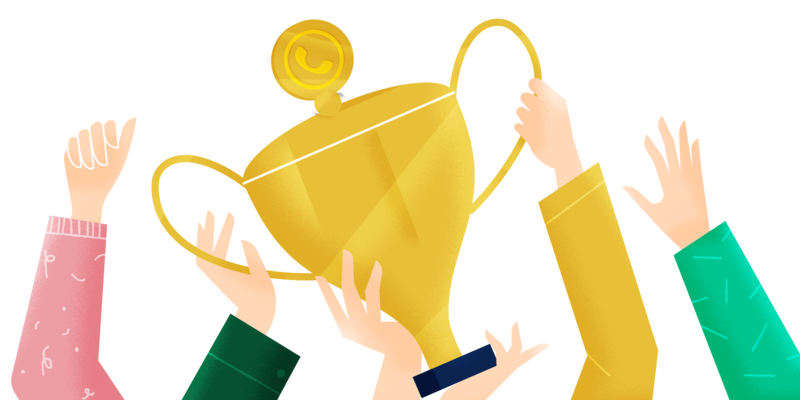 Here’s a look at those objectives in more detail, and at how they apply to the betterment of your business’ customer success strategy. Visitors to your website represent potential leads, since they’re already curious about your product. Intercom can help you complete the conversion from casual visitor into paying customer. Intercom’s live chat feature lets you engage with visitors to your website. If the visitor prefers to be contacted at their leisure, they can leave their email address for future use. This frees them up to go about their day without having to wait on a reply. You can also use Intercom to track how visitors interact with your website. You can monitor who is browsing your site in real time, or how long a certain person lingers on a page; all that’s left to do is to use that insight to prioritize clients and recommend targeted service. When a website visitor contacts your team, Intercom saves their information. When that lead is converted into a customer, Intercom archives all their conversation and browsing history, and begins tracking the ways in which that customer uses your product. This lets your team closely follow their customer experience. You’ll know which clients need particular attention, and you’ll have clues on how to enhance customer success. Once you’ve managed to turn a website visitor into a lead, into a full client, you must onboard them. This stage in the customer journey is as delicate as it is decisive of future customer success. You need to empower your new client to get the most out of your product, since if it doesn’t contribute to their success, clients will churn. Then, that usefulness must be demonstrated again and again over the course of the customer journey. Intercom can help you stay close to your client, milestone after success milestone. Intercom makes it easy to follow your clients’ process and encourage their success. 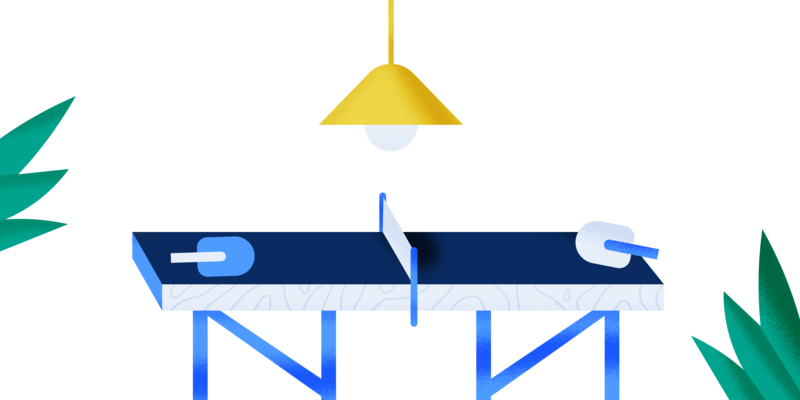 For every client, Intercom shows you their activity, so you can know who’s getting the most out of your service already, and who could use a leg up. 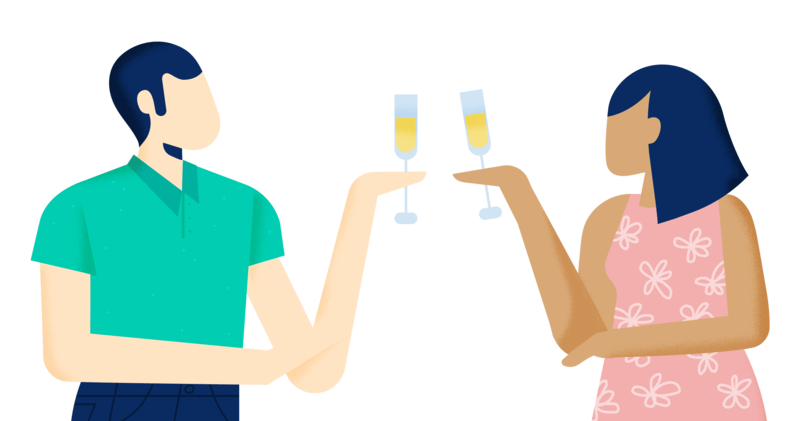 Here’s how Intercom can help you onboard customers, drive adoption, and encourage customer success. Every day, Intercom will give you a comprehensive list of who signed up to your service, who hasn’t been active in a while, and who churned out. This will help you follow the customer journey of your users and highlight repeated opportunities to add value to customer interaction. Customer success depends partly on making sure that every time your business contacts a customer, there is added value to that interaction otherwise, the customer will feel their time is being wasted. You can use Intercom’s bulk emailing service to announce big news, such as a new feature or change of direction. This helps keep customers informed, instruct users on your service, and boost subscriptions or upgrades. But you can also carry out targeted campaigns. For instance, you could present tutorials to clients who may be struggling to use your product. Those are the customers who might be in danger of churning. If you see a certain customer hasn’t logged on in a while, or hasn’t been using your service, you can step in and provide the assistance they might not even know they needed. By giving regular nudges to floundering users, you’ll encourage product adoption and identify potential for up-selling. Most of all, you’ll take steps to ensure that, at least in part, your customers’ success is due to your product. The third main advantage Intercom has in store is its simplification of customer support. Once you’ve converted leads into customers and empowered their success, the last link in the chain is to be there for them if they face a technical issue. As ever, Intercom’s unified dashboard lets customers reach your support team through any channel they please. Your support team will be able to meet customers wherever they are. 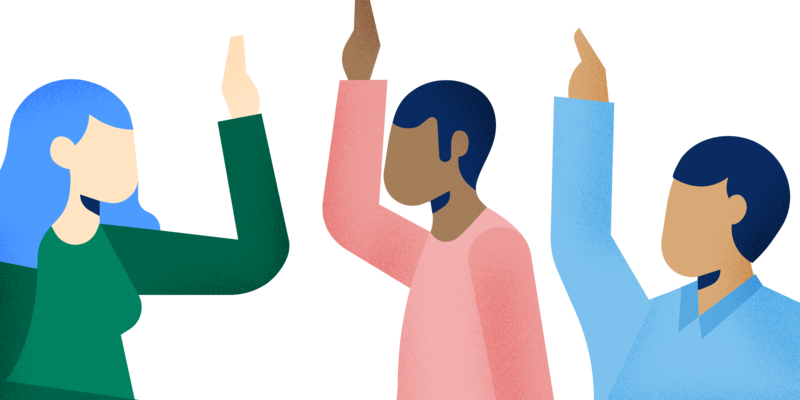 For simple, recurring questions (which, let’s face it, make up a good portion of customer support), forget typing out identical, time-consuming answers: Intercom’s automated response system has you covered. Also, you can use answer templates to quickly get back to a customer. To field more delicate support demands, Intercom’s team inbox lets your whole team collaborate seamlessly. Any help ticket will be visible to everyone, so your agents can work alongside each other instead of stepping on each other’s toes. Managers can assign issues to specific team members, or jump in to help at any time. Every issue will be detailed with the customer’s information, purchase history, and chat logs; your team will have all the tools at their disposal to provide an efficient and speedy resolution to any support issue. This will significantly lower your customer effort score, and raise their satisfaction. Last, but not least, your support team’s performance can be monitored in order to pinpoint any issues on your end. Are many clients churning at the same milestone of their customer journey? Is one feature repeatedly malfunctioning? Are customers unable to find self-service resources to fix a certain problem? These are all questions you can answer with Intercom, in order to make data-driven decisions to grow your business. 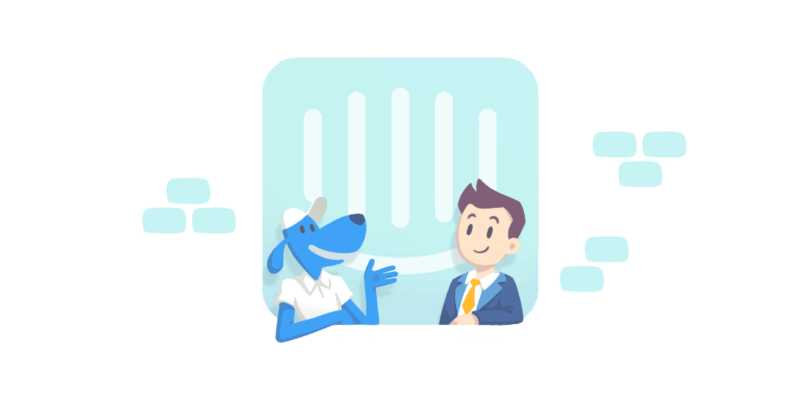 With Intercom, you can segment your client base to target your customers with specialized content. MailChimp lets you import those segments and send out email campaigns which will resonate with your customers. Your business could take every opportunity to engage with customers and meet them where they expect you. MailChimp and Intercom’s integration allows you to send the right content to the right customers. Zapier allows over 500 services to cross-communicate and freely transfer information. By integrating Zapier with Intercom, you’ll be able to merge your client base, leads, help tickets, etc. with a number of useful services. If a program you use doesn’t yet have an Intercom integration, Zapier can help you bridge that gap. Aircall’s VoIP business phone system is an asset for both sales and support teams. Easy to scale and simple to install, Aircall’s intuitive userface lets you use phone numbers in over 40 countries. Aircall’s features have your phone needs covered, and by integrating with Intercom, you can keep track of every interaction you have with customers. This intelligence is stashed away in client files. Your whole team can step in to field calls, follow up on voicemails, and make sure your business stays close to its customers. Mixpanel integrates with Intercom to make it simpler than ever to analyze user data. This software lets you segment your customer and lead base and observe how people interact with your website, content, and product. Know where your visitors come from, what they look at, and how they engage with your business. MixPanel brings an extra layer of expertise to Intercom’s features, in order to let you make data-driven decisions without being an expert in analytics. Segment allows businesses to use a single API for event tracking, and lets them send data to multiple services in order to keep a coherent record of customer service. Integrate Segment with Intercom in order to send data collected using other services and utilize it within Intercom. This will let you stay closer to your customers by monitoring their activity and engagement with your product on a myriad of different platforms and channels. Stripe’s software lets you implement digital payment options for all your online transactions. Stripe is a secure and easy way to conduct business, for buyers and sellers alike. Stripe’s integration with Intercom lets you monitor your client’s activity leading up to a purchase, and better understand your clients. You can track their interests and activities in real-time, and interact with them to guide them towards a purchase. AskNicely helps you automate and simplify the collection of feedback and the calculation of customer satisfaction. You can create professional survey templates quickly and easily, and send them out right away or schedule their release. Segment your client base and poll their Net Promoter Score in order to get a precise idea of customer satisfaction. By integrating Intercom and AskNicely, you can keep even closer tabs on your customer feedback scores, in order to provide targeted service. HipChat is a group chat, video chat, and screen sharing service for teams. It lets your team collaborate, share files, and gather information without limits in order to benefit customer service. The Hipchat-Intercom integration adds an extra dimension to Intercom’s group inbox, and gives your team even more opportunities to work together. The logs from conversations over HipChat are synchronized into Intercom’s files, so you never lose track of important data ever again. Shopify helps you set up and manage an online retail business over multiple platforms. With Shopify, you can keep tabs on orders, inventory, and shipping through a unified interface. With the Intercom-Shopify integration, you can run your store while monitoring the way in which clients interact with it. You can track potential buyers according to their interests, drive sales, and nudge buyers towards a happy resolution of their decision-making process. Slack gives your team a unified platform on which to collaborate. You can create channels related to a specific topic and message others directly, share attachments, and all-in-all work as a cohesive team. Intercom’s team inbox integrates with Slack so that you can get notifications related to signups, upgrades, questions, and more; never again miss an opportunity to talk to a customer. This way, you can use Slack to talk to your team members; and to field customer demands without having to switch back and forth.